The 33% Renewable Portfolio Standard awaits the signature of Governor Jerry Brown. California's state legislature set the most aggressive renewables portfolio standard in the United States at 33 percent by 2020 in passing S.B. 2 on Tuesday. The bill now moves onto Governor Jerry Brown's desk -- he's already announced his intention to sign it. According to Adam Browning of Vote Solar, "Long-term market security is key to stimulating investment. Having this in legislation will also help with financing. But the biggest impact will be felt out of state -- California just set the bar higher." 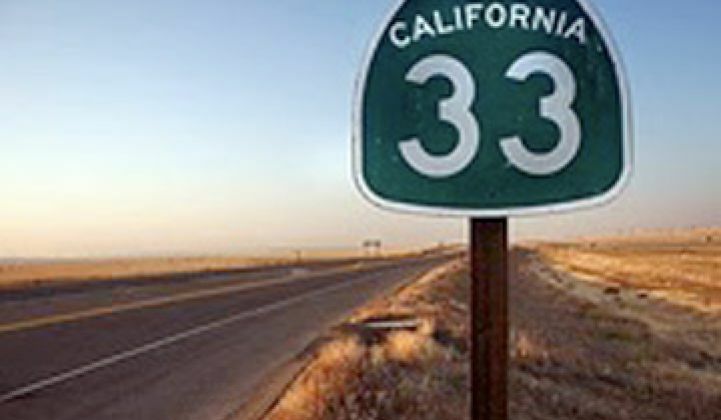 The 33 percent RPS had been put in place in September 2009 via an Executive Order by former Governor Arnold Schwarzenegger. However, once Brown signs the law, it will carry far more weight than an executive order. Southern California Edison (SCE) and San Diego Gas & Electric (SDG&E) are in favor of the bill, while Pacific Gas and Electric (PG&E) is less enthusiastic "because [the bill] lacks adequate cost protection for our customers," according to PG&E spokesman Denny Boyles, as quoted in Platt's. “This bill establishes California as the national leader in clean energy,” said Democratic State Senator Joe Simitian, “improving the environment and stimulating the economy, while protecting ratepayers from excessive costs.” Simitian is the author of the bill. Mike Hall, Borrego Solar's CEO said, "This is tremendous for the California renewable energy industry. A legislative solution provides a lot more clarity and firepower for regulators and proponents. 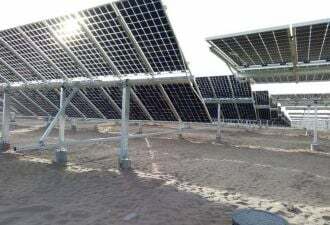 Solar in particular will greatly benefit as interconnection, transmission and entitlement will quickly become the barriers to renewable adoption. Distributed generation solar has a big advantage in all of these areas." Andrew Beebe, the Chief Commercial Officer of the world's largest supplier of solar modules, Suntech Power, had this to say: "A 33 percent renewable portfolio standard in the world's eighth largest economy sends a clear message: renewable technologies can provide reliable, cost-effective, and sustainable solutions for electricity generation. This strong commitment puts California on a clear path for creating more green jobs and achieving long-term energy security. In addition, it gives us the confidence to make greater investments in our California operations and American manufacturing that will help drive down the costs of solar electricity." Still, a number of questions remain. How does this decision impact the CPUC’s Reverse Auction Mechanism (RAM) and will this shift the deployment of solar energy in California? California currently gets about 15 percent of its electrical power from renewables. California’s three investor-owned utilities (IOUs) achieved 18 percent of 2010 retail electricity sales with renewable power.